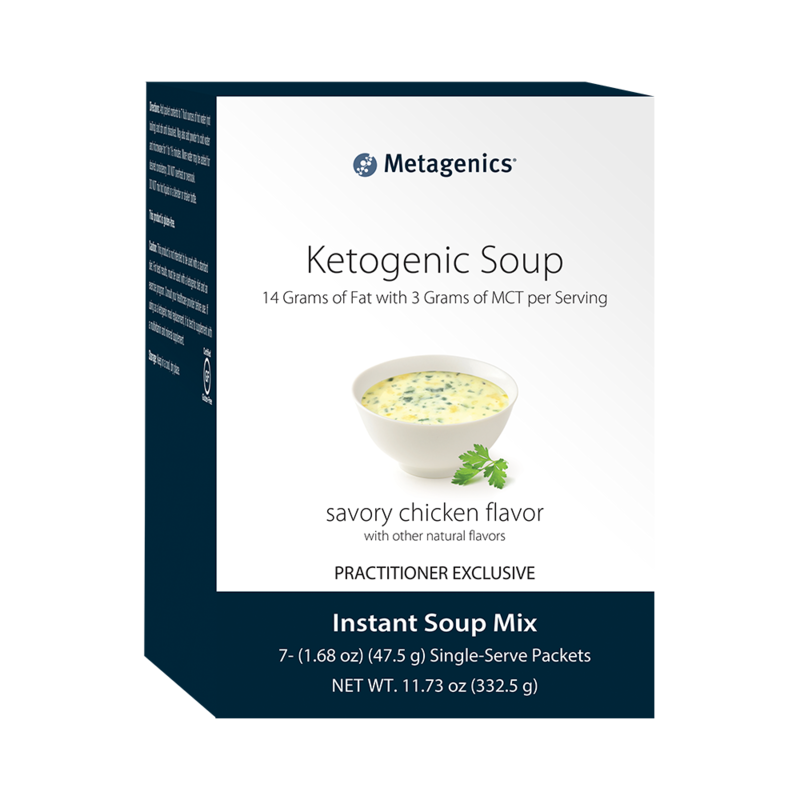 For those committed to a ketogenic lifestyle, Metagenics Ketogenic Soup offers a delicious and convenient way to get 14 grams of fat, 20 grams of protein, and 4 grams of carbs per serving. 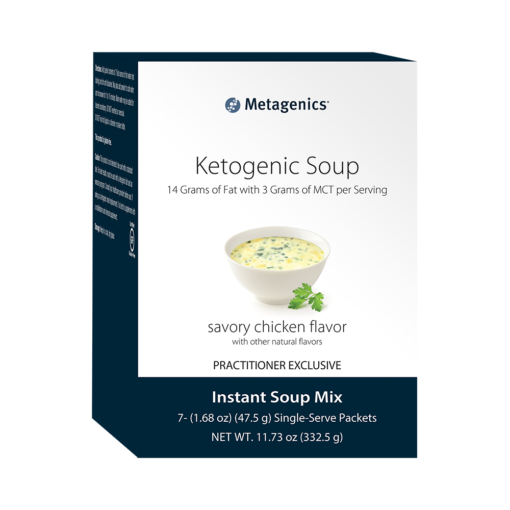 For those committed to a ketogenic lifestyle, Metagenics Ketogenic Soup offers a delicious and convenient way to get 14 grams of fat, 20 grams of protein, and 4 grams of carbs per serving. 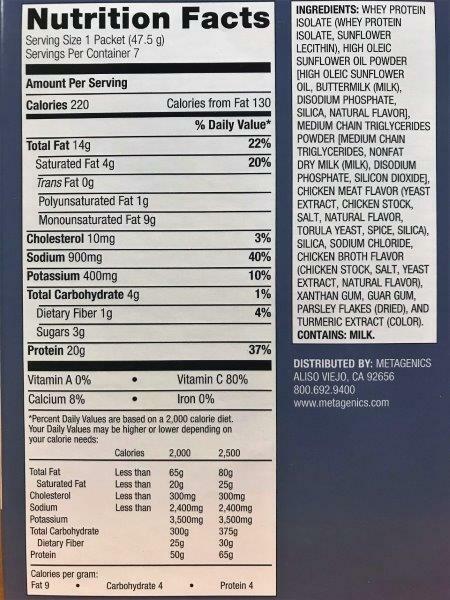 Ketogenic Soup also offers 3 grams of medium-chain triglycerides (MCT) per serving. It’s fast, easy, and ideal as a meal replacement or keto snack. 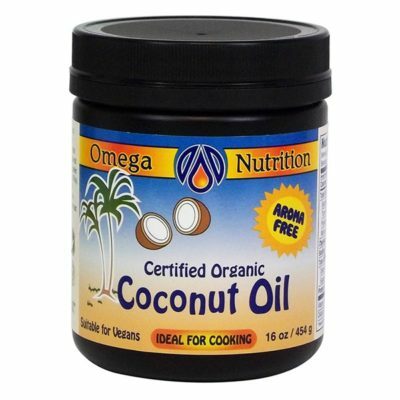 Want to add additional fats to your soup? 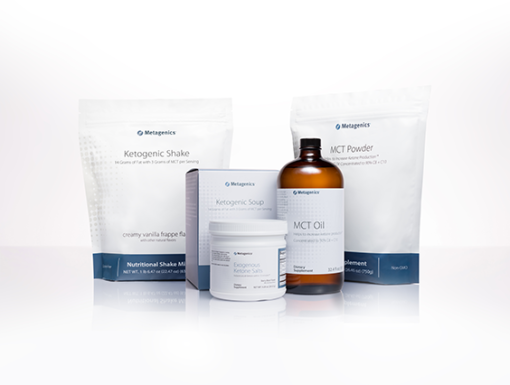 Add a tablespoon of ghee, or a serving of Metagenics MCT Oil or MCT Powder to Ketogenic Soup for extra fat intake.